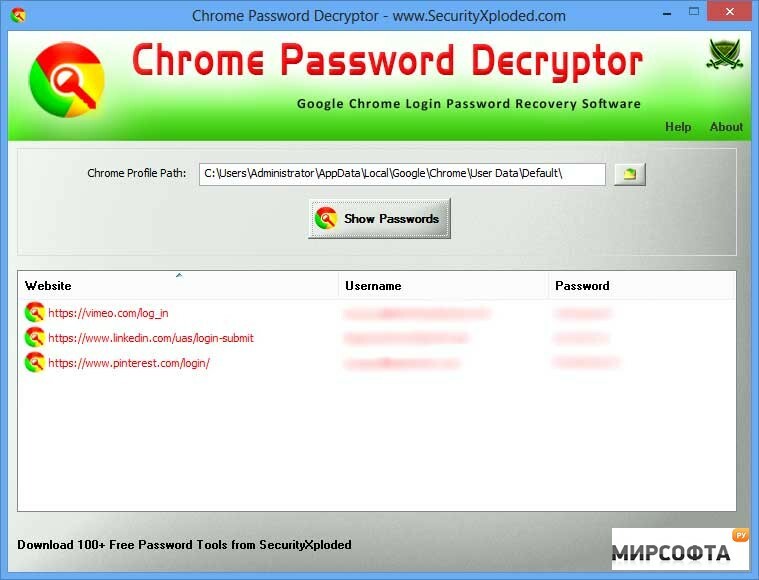 Chrome Password Decrypter permits you to recover all stored passwords from Google Chrome browser instantly. It will automatically detect the default Chrome profile path for the current user and displays all the stored login passwords in clear text after decrypting them. It also shows all the blacklisted website entries for which the user has prompted Chrome to not to remember the passwords. 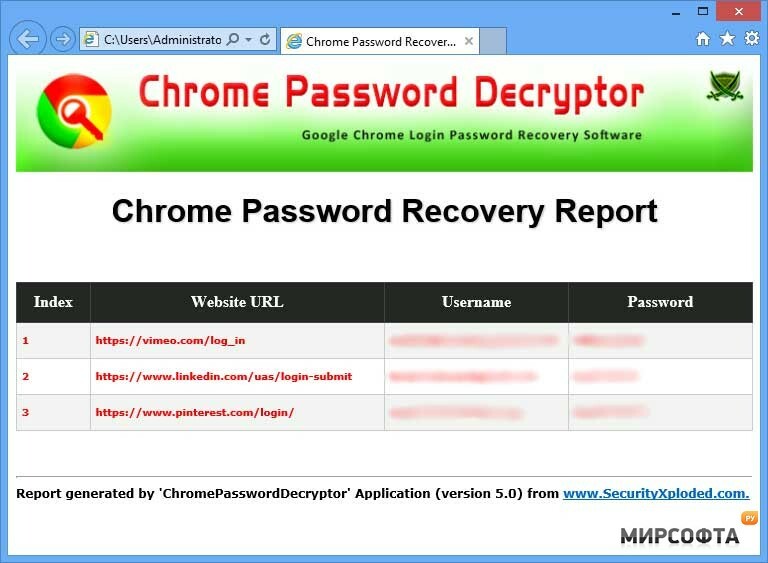 To recover the passwords in case Chrome becomes not accessible or non-functional.